The London Transport Hub is a reality with all its advantages and disadvantages. The problem is how far can it go on doing the same? Are there not physical limits to expansion especially when the conurbation is growing by thousands of persons per year? I begin this second part by repeating the same questions as I finished the first. Measures are being taken but are they enough? Quite frankly a lot is being done. THAMESLINK: The first attempt in modern times to redistribute the traffic flows so that the terminal stations and the metropolitan transport system did not become clogged up was with the reopening of the cross Thames link from Kings Cross/ St.Pancras to Farringdon then Blackfriars to the three rail system south of the Thames. This originally opened in January 1866 and continued in use until the end of the 1960s, though not all the time for passenger traffic. From 1988 the tracks were relaid and opened to north-south passenger traffic yet again. Subsequently, this permitted a renewed connection between north and south of theThames which became very successful. This led to the Thameslink 2000 project which meant connecting lines from the north to the south of the Thames so as to provide greater connectivity. The star example is the service from Bedford to Brighton (passing Gatwick and Luton airports). Such was the case that the whole north-south connection was looked at. Now the whole question of franchises both north and south of the Thames is being modified. The greatest example of this is the proposal from the DfT to merge the present Thameslink services with the Southern(South Central) and Great Northern franchises.The new combined franchise would start from September 2014. As can be seen at the end (annex F) of that DfT document the proposed traffic pattern includes north- south Thames´ services as well as those which terminate at Victoria, London Bridge and Kings Cross and Moorgate.This is a reversal of the previous policy whereby Thameslink was a cross river operator and the said terminals were devoted to a specific operator. Will not the same problems as before arise again to make the desirability of reducing the number of operators at a station a necessity? 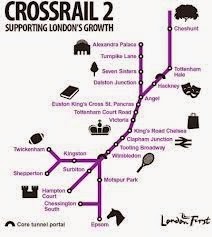 CROSSRAIL:The next attempt to aleviate the flows of passengers into London was the Crossrail scheme. This envisaged a cross conurbation rail service from (now) Reading and Heathrow (in the West), to Shenfield and Abbey Wood (in the East). In gross terms this service would take the surburban Great Western rail services from Paddington together with the Heathrow Connect services and connect them to the surburban rail services of Great Eastern from Liverpool Street to Shenfield (Essex) while also providing an extension to Abbey Wood in Kent to connect to South Eastern services. The net result of this line would be to provide greater access to Central London from the surburbs thus freeing up Underground places from the main line termini, while also freeing up platform space at these termini to facilitate more long distances inter-city rail services. 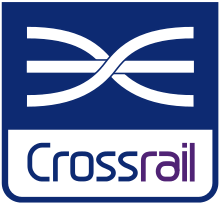 The estimates are that this new Crossrail service will increase London´s transport capacity by 10% - a substantial figure. Crossrail (and Thameslink) are planned to extract numbers from the central Underground areas but will provoke problems of their own. The latest study from Arup(20 January 2014) The passenger numbers expected to embark/disembark at the central stations of Bond Street, Tottenham Court Road and Farringdon have increased from the estimate made in 2004 of 185 million per annum to a revised figure now for 2026 of 250 million per annum - a massive increase of 35%. Another area where Transport for London (TfL) - the governing body for all London transport - decided major improvements could be made was to make up for the lack of investment in the capital´s transport system - particularly the Undergound (Tube) - over many decades. --- Upgrade the antiquated signalling system: this ensures greater reliabilty and thus fewer breakdowns - also it permits a shorter time limit between trains and thus increases the frequency per hour of the number of trains, therefore increasing capacity. --- Increase in the length of trains (where possible) thus increasing capacity. --- improve the configuration of the trains so that they can accelerate and decelerate more quickly, while also eliminating the barriers between carriages thus increasing the capacity (walk-through carriages). Bettering the travel experience with improved facilities, especially for the less mobile,and safety are also part of the process. These measures require time to be put in place but TfL is undertaking the process. The improvement will be substantial again but the question is how far can these measures solve the problems. With the expected increase in population (at 200+ persons per day) in the capital and the South East in general there will be a limit to how much the present system can be improved (the law of diminishing returns). But where is the limit? Greater Anglia: While the above mentioned improvements are going on TfL and National Rail are proposing additional solutions. Firstly, London´s Mayor, Boris Johnson wants to include all rail services within the London boundaries (basically inside the M25 circular motorway) into the remit of TfL. The benefits of this move are not clear - they seem to be more a case of empire building by Boris. The first step he has achieved is to ensure that the responsibility for the Greater Anglia commuter services from Liverpool Street to Chingford, Enfield Town and Cheshunt pass to TfL. 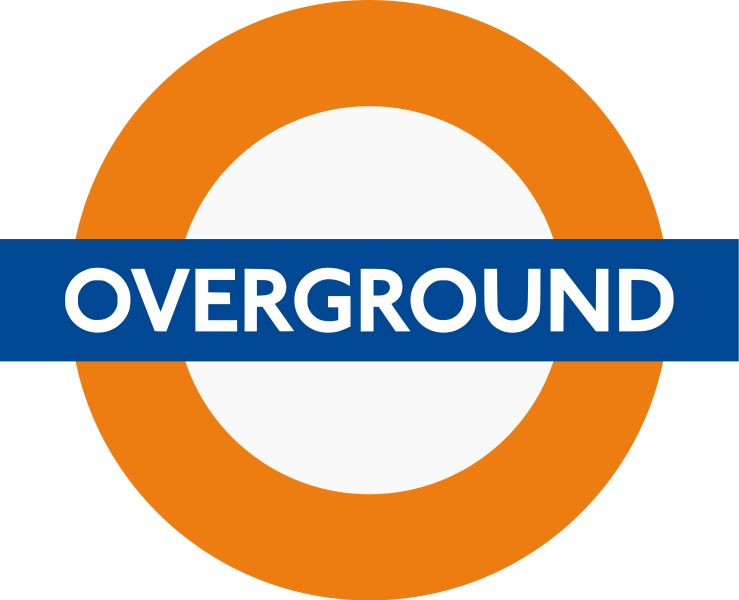 They might well be branded Overground though these services are fed by overhead electric lines and not the third rail, as the other Overground services are. The stations will be upgraded to TfL standards. If the results achieved by Overground, with improved facilities and safety measures, can be used as a model then the usage of these services will increase substantially. together all the bits and pieces of the British Rail system round Greater London which were not connected. This lead to the idea of connecting them as a circular rail system to connect the middle and outer surburbs on Greater London. It proved successful and so the Mayor, Boris Johnson, has been encouraged to expand it. The motivational idea was "Connectivity" (which this blogger supports wholeheartedly)as well as "capacity". Connecting the outer limits of the transport system means fewer numbers of passengers have to travel through the centre but use the outer connections - something to be encouraged. originally called the Chelsea-Hackney (Chelney) line as a new line of the Underground. It has lately been pushed by a grouping of businessmen and politicians called London First led by the ex-transport minister Lord Adonis. The London Mayor, Boris Johnson, has taken the idea on board fully. There are two options being studied at the moment. (a) Metro option: this would be a LUL line from Wimbledon through Kings Road Chelsea to Victoria then Euston/Kings Cross and on to Alexandra Palace (with other intermediate stops). (b) Regional option: this would run further south and further north, connecting some South West Trains´ services from Shepperton, Hampton Court and Chessington South(or even elsewhere) to the line at Wimbledon while at the northern end the lines to be connected could be the aforementioned Greater Anglia lines to Chingford, Enfield Town and Cheshunt (or others). The real problem would be the two differing electric systems used (a) the third rail 750 DC used on the commuter network south of the Thames while north of the river (b) the overhead gantry system of 25Kv AC is used. This has already been solved with the Thameslink network both north and south so it is not insuperable - expensive it is, but workable. The whole process is at an early stage so nothing definite has been decided yet. LUL extensions: There are some tweaks to the system which have already been approved. One involves the long waited for extension of the Metropolitan Line from Croxley to Watford Junction. Another is the approved Northern Line extension from Kennington to Nine Elms and Battersea. In fact this blogger has already set out his ideas for improvements to the rail systems in London in his blog of 25 May 2013 titled "Getting the lines crossed in London - Crossrail 1 & 2 & other lines. I repeat some of them here. (a) - the separation of the Charing Cross and City branches of the Northern Line (LUL) into two separate lines, one going to Battersea and the other to Morden. (b) Extension of the Northern Line from Morden to Morden South(to connect with the National Rail line). (e) - Metropolitan Lines extended throughout the day through central London from Baker St.
(f) - The extension of the Northern Line branch from Mill Hill East to Mill Hill Broadway, Edgware and Stanmore ( to connect to the other lines at those stations thus providing better connections across the suburbs). All of these mean extensions of existing lines which are not particularly complicated. However, the following ideas mean using part of the south Thames rail network to add to the extensions. 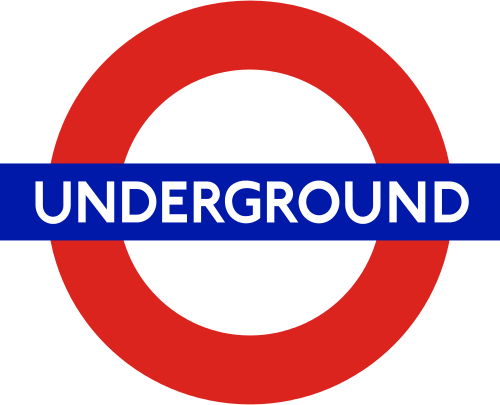 (g)- extension of the Bakerloo Line to other areas south of the Thames where there are large gaps in the commuter network. Onwards to Peckham Rye (with intermediate new stops)and Lewisham with one set continuing on the circular lines through Woolwich Arsenal, Slade Green and Eltham (and viceversa). The other part would go along the circular lines through Hither Green, Crayford, Bexleyheath and Eltham (and vice versa), to return through Lewisham to Peckam Rye etc. (h) - The Piccadilly Line split at Holborn so that the Cockfosters branch can be extended to Aldwych, Temple and areas south of the Thames where the Undergound is under-represented. Down to the Elephant & Castle, and on to the Sutton, Wimbledon loop on one side while to Caterham and Tattenham Corner on the other. (j)The Heathrow and Uxbridge Piccadilly branches would continue from Holborn out north-eastwards(serving areas of Hackney and the Chingford Line, and perhaps taking over parts of the Central Line at the end). That way a sizeable part of the commuter network would be brought into the LUL system giving the Underground a greater visibility south of the Thames. A net result could be aleviating the pressure on the platforms at Victoria, Charing Cross, Blackfriars, London Bridge and Cannon St.
OVERGROUND: One service which is crying out for modification is the Overground line from Watford Junction to Euston. The subtraction of this line from Euston would free up platforms for other badly needed services. The solution is simple. From South Hampstead the line can divert to Camden Road along a preexisting track and then continue to Highbury & Islington. Here it would connect to the Overground service to run to New Cross. At present the line finishes there on its easterly branch. However, the service can be extended to Lewisham and Hayes, and to Lewisham, Grove Park and Bromley North. These would result in being two extensions from New Cross, possibly saving platform space at the Cannon St. and/or Charing Cross termini. AIRPORT EXPRESS SERVICES:The Heathrow Express service could combine with the Stansted Express service to run on Crossrail tracks through Central London to link the two airports as a joint Heathrow-Stansted Express (thus freeing up platforms at Paddington and Liverpool St.). They would run to Stratford and then on to Stansted. There would be no need for a large number of passengers to change at Paddington and Liverpool St. thus freeing up LUL seats. Both services run at a frequency of 4 trains per hour. REGIONAL SERVICES: I also repeat the idea of combining the regional services from Milton Keynes (London Midland) and the Chiltern Line(from Aylesbury and High Wycombe) to those of C2C to Southend.The services running into Fenchurch St. along the Tilbury Line operated by C2C are a prime candidate. They are suburban and regional commuter lines with no connection to any other line or terminus (except for the occasional train running into Liverpool St.). The terminus occupies a prime site of real estate in the City of London. The station site could be sold while keeping the right to have access to the line at a station underground in the same place. A tunnel would be excavated from Fenchurch St. to run under Central London with stops at Cannon St., Blackfriars, Aldwich(reopened), Tottenham Court Rd., New Cavendish St. (Portland Place)(a new station), Marylebone/Baker St. (connected to both). The tunnel would continue northwards with one branch passing through Maida Vale to emerge at Queens Park and joining the WCML to travel through Willesden Junction incorporating most or all of the London Midland services to Milton Keynes. Thus platforms would be freed up at Euston. The second section of the tunnel would go directly northwards from Marlebone/Baker St. passing under South Hampstead and continuing to emerge at West Hampstead. The services would continue along the Chiltern Line through Wembley Park and Wembley Stadium on to Aylesbury and Aylesbury Vale Parkway via Amersham and High Wycombe respectively. These surburban and near regional lines would thus be diverted on to another Crossrail Line through London freeing up platform space at Marylebone station. The work needed to be done on these lines would be the electrification of these surburban Chiltern sections. That however, could be part of a general electrification of the Chiltern Line to Birmingham and Oxford which surely will be done in the mid-term. Both the C2C and the London Midland services use overhead power lines at 25Kv AC so the systems are compatible. Lords Bradshaw and Berkeley have been active in the House of Lords with different proposals to reduce the cost of the new High speed line HS2 and improve the connectivity of the regional WCML services into and through London. 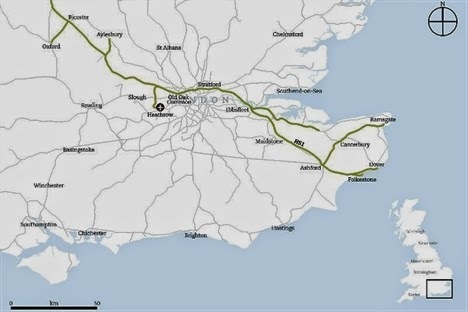 They have also proposed, quite sensibly in my opinion, dropping the HS1 - HS2 connection along the North London line. This blogger welcomes the decision of the government to scrap the HS1 - HS2 connection. The reasons given, though valid, are a bit vague - ".....its impact on freight, passengers and the community in Camden”. The three articles are detailed so I will not go into them here. However, the main reason not mentioned for the cancellation of the HS1 - HS2 link is that it is logistically a nightmare and thus is not viable. Great Britain is outside the Schengen agreement so it maintains its Border controls on all incomers to the country whether thay be from the European Union or elsewhere. this means that if HS trains were run from the provinces to mainland Europe then the passengers would (a) have to disembark at some point to pass Border controls thus eliminating the advantage of through HS services or (b) pass Border controls at the embarkation stations and be isolated from travellers not going to mainland Europe. This is precisely the problem facing Eurostar services being extended from Brussels to Amsterdam and Cologne(with intermediate stops). It is simpler, cheaper and much less of a headache to start all HS European(Eurostar or other) trains at St.Pancras. Yes, but not all. It is an interesting but flawed document to read. It contains, for example, a detailed explanation of why direct HS2 services to Mainland Europe are so difficult to organise. However, it reflects the ideas of its promoters when it should abandon some concepts about which Greengauge 21 itself has come to some clear conclusions. For example, it accepts the necessity of abandoning the HS1-HS2 connection through Camden then goes on to say that that is the way to connect services northwest to those southeast of the capital. What has to be looked at seriously, which has not been done as yet, are the possibilities of diverting traffic away from the centre of London completely. By this I do not mean local(London) or regional traffic which has already been mentioned. SUGGESTION: Having said that there could be a solution. This would mean bypassing London with new different services. Ideas have been floated about rail connections from (a)Reading to Heathrow and from (b) Heathrow to Gatwick. Connection (b) was mooted under the title "Heathwick" - to connect the terminals at both airports with a fast rail link so that they could work as one. This was plainly "pie in the sky" as it was proposed and has died its death. However, this blogger did propose a combination of both. It takes no big mental effort to see that a connection from Gatwick airport to Ashford and into the Channel Tunnel is the next step. That would mean Reading, Heathrow and Gatwick would be interconnected and able to offer ongoing services - some to Continental Europe and others as regional services to northeast Kent. At Reading passengers would arrive from the Midlands, the west, South Wales and the South West, for airport and regional services without going through London. At the airports passengers would not only be able to reach regional destinations without going through Central London, but also those ongoing to near European destinations such as Paris, Brussels, Amsterdam and Cologne could take pressure off the shorter European flights and perhaps reduce demand on them. Thus expansion at the airports would be controlled to a certain extent. To achieve this Eurostar and other international services could start at Reading. Here dedicated platforms and Border controls could be provided on trains that run through Heathrow (T5, Central & T4), on to Gatwick airport, then to Ashford and through the Channel Tunnel to Paris and Brussels, all on dedicated international trains. This is an idea I have floated before. Both the international services and the regional services would eliminate the need to travel into Central London to reach the TWO major airports.This is a "win, win" situation: (a) alternatives to ongoing flights to Europe from the two airports at distances where rail is very competitive with air travel, and (b) greater connectivity (thus capacity) between the two major airports in the country to enable more rapid interconnection, while(c)better connectivity for travellers, tourists, commuters and others who will not need to travel through Central London thus aleviating the TfL system. It takes no great effort of the imagination to see the possibility of regional services over this line, which I call SHSL (Southern High Speed Line), from further afield. These places could be Birmingham and Oxford, Bath and Bristol, Cardiff and Swansea, and elsewhere. The possibilities opened up are numerable. This has always been the poor relation of rail services because it does not transport people - commuters, businessmen/women, tourists, sports fans or whoever - only goods. It has to be accepted that London is not a seaport any longer. The port facilities are further down towards the end of the Thames Estuary and even elsewhere. Whether the rail (or road) transport is going to Tilbury, Felixstowe, Dover or Southampton the principle should be accepted that none of these imports/exports should go through London unless they are destined to/from London itself. That is of vital importance to take rail traffic off London´s lines and lorries off its roads - and especially the M25. 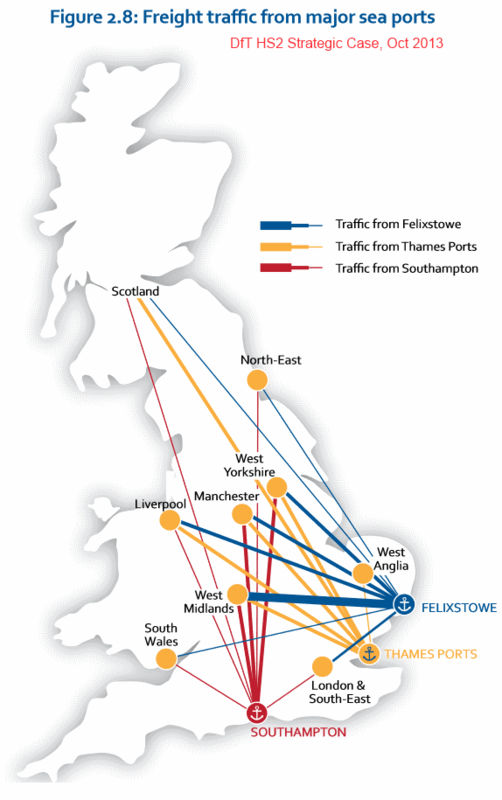 Line initiatives for freight, such as the Southampton-Basingstoke-Reading line(and on to Nuneaton), and the Felixstowe-Nuneaton line are to be welcomed. but they are not enough. serious thought should go into the idea of taking lorries off the roads so that they avoid London and other cities and towns as much as possible. This blogger´s ideas on avoiding central London were expounded in more detail through the two following links. 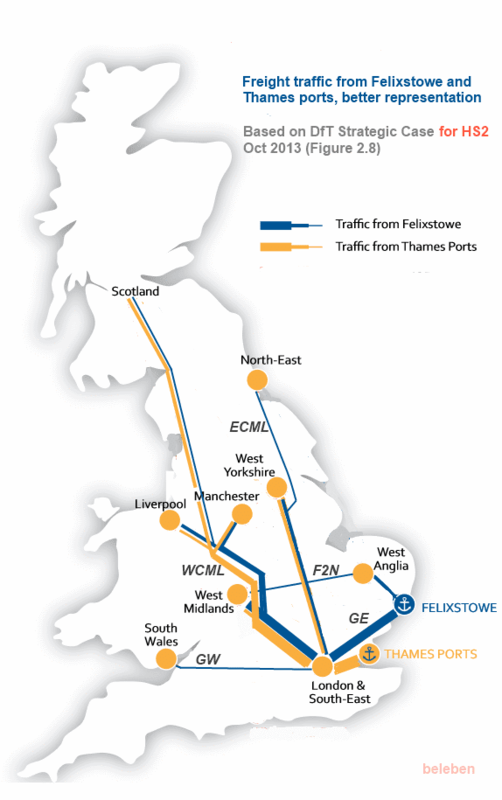 Those who have read the last link will realise that it refers to the transport of freight(more than passengers) between continental Europe and the Republic of Ireland through England and Wales. However, both go on to explain how the idea could be extended to regional pick up points for freight traffic near Bristol and near Birmingham. All of these would have the double benefit of diverting traffic from London, and taking lorries off the roads further from the Channel tunnel so that fewer fumes are emitted into our air. What will it take to achieve all this? It needs the vision to see the future benetfits, the political will to put ideas into action and the economic commitment to fund a rolling programme to fulfill it. Money should be spent on beneficial projects to the greater good for the greater number. It does not necessarily have to make an economic case, a social one might well be sufficient. However, such action will always be better than grand vainglorious projects which become self seeking in the end in a prison of political commitment and face saving.